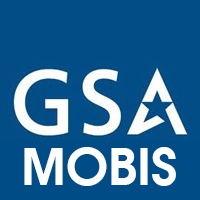 GSA Schedule 70 – Columbus Technologies and Services, Inc.
GSA Schedule 70 is an IDIQ contract administered by the Federal Supply Service of the General Services Administration. As a GSA contractor under FSS Schedule 70, Columbus provides Information Technology services. Any agency of the U.S. Government may take advantage of Schedule 70 task orders to secure products and services in a variety of skill areas, including systems analysis, design, installation, programming, and integrated logistics support. GSA’s Information Technology Services Schedule, Schedule 70 is designed to bring high-quality professional IT services, in varying degrees from small-scale to broad-based task orders to complete outsourcing services, to the Federal Government. This GSA Schedule is open to all U.S. Federal Government agencies throughout the world. Additionally, the E-Government Act of 2002, Section 211, authorizes GSA to enable states and local governments to utilize this GSA Schedule. The contractual relationship is between the Government customer and Columbus Technologies and Services, Inc. GSA’s involvement is limited to the receipt of the industrial funding fee on a quarterly basis. Government agencies are encouraged to establish Blanket Purchase Agreements with a Federal Supply Schedule contractor to fill recurring needs while taking advantage of quality discounts, saving administrative time, and reducing paperwork.